The sad story of my arrest for spruiking. Morning Bulletin 21 June - news of my arrest. 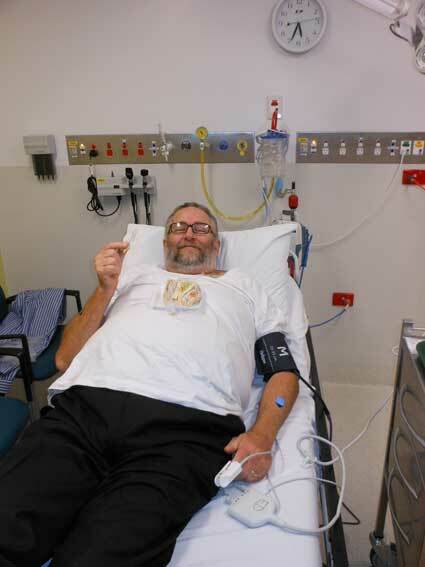 Following my arrest, I was admitted to Rockhampton Base Hospital for tests and observation. Here’s a pic that Graeme took. Bryan takes nourishment at Rockhampton Base Hospital after being falsely arrested by Police. I am impressed by your commitment, your pacifist approach, and by the sheer courage you display in putting yourself on the line repeatedly for a better world. May the long time sun shine upon you brother.